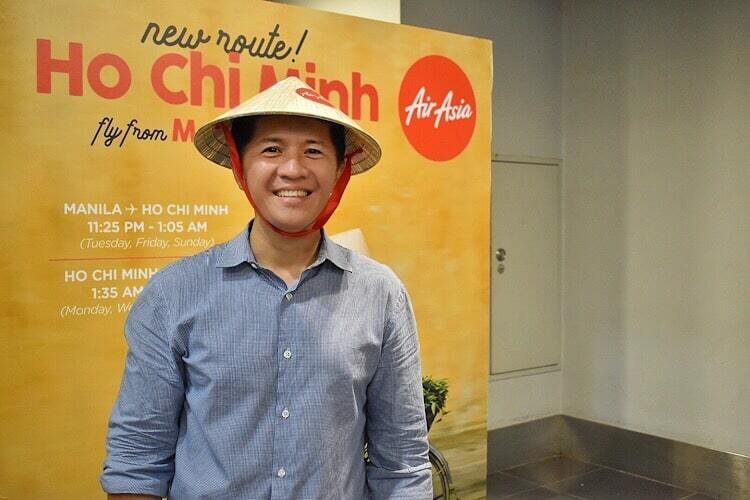 AirAsia now flies to Ho Chi Minh City, Vietnam from Manila! - All Chucked Up! 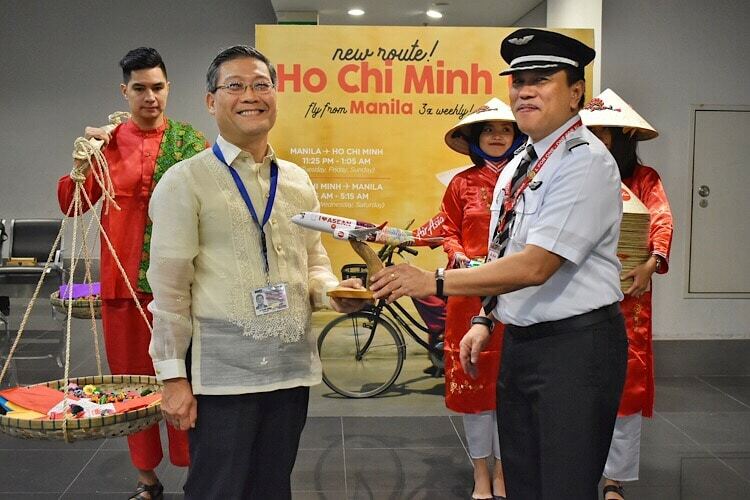 You are Here >> Home >> Travel >> AirAsia now flies to Ho Chi Minh City, Vietnam from Manila! 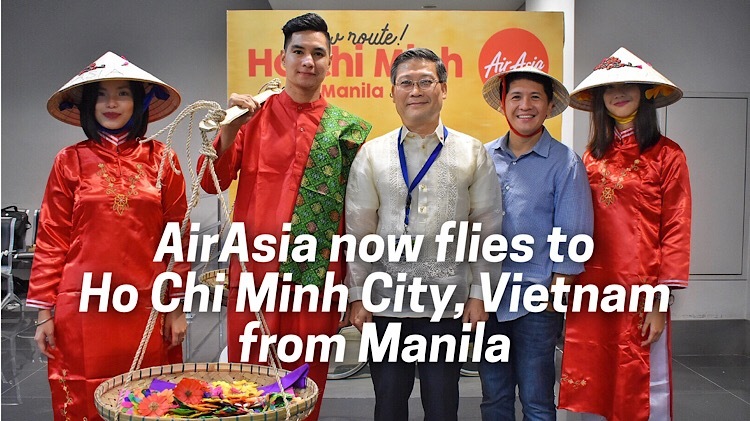 AirAsia now flies to Ho Chi Minh City, Vietnam from Manila! Great news once again from the World’s Best Low Cost Carrier! Coming off the heels of their recent “I Love ASEAN” aircraft livery unveiling, AirAsia flew its maiden flight from Manila to Ho Chi Minh today with send-off ceremonies held at NAIA (Ninoy Aquino International Airport) Terminal 3, hosted by yours truly and led by AirAsia Philippines CEO Captain Dexter Comendador with His Excellency Ly Quoc Tuan, Ambassador of Viet Nam to the Philippines, as keynote speaker. 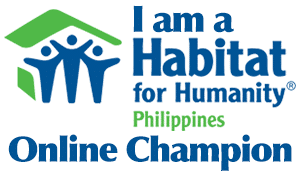 This further strengthens the airline’s commitment as a truly Asean carrier. After the short but very fun festivities held at Boarding Gate 106, we excitedly boarded the plane. AirAsia flight Z2 294 with pilot in command Captain Dexter Comendador left Manila on time at 10:25PM with 180 passengers on board or a 100% load. AirAsia’s iconic red plane arrived at Tan Son Nhat International Airport at 1:05AM. 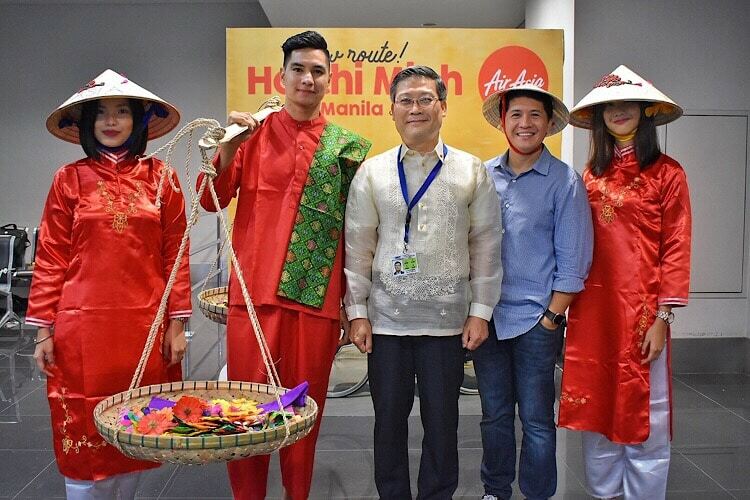 AirAsia has recently launched AirAsia Loves Asean — a series of initiatives focused on education, talent development and the economy to celebrate 50 years of Asean. The initiatives comprise the AirAsia Asean University Partnership, Asean Entrepreneurs Day, Asean Journalists Camp and Allstars Exchange Programme. At the said launch, AirAsia also officially presented an “I Love Asean” aircraft livery showcasing designs inspired by textiles, architecture, art and nature from all 10 Asean nations – batik cetak from Malaysia, poom khao bin from Thailand, ulos Batak from Indonesia, tapis from the Philippines, trống đồng from Vietnam, kbach pka Chan from Cambodia, Lao phouthai from Laos, chate from Myanmar, jongsarat Brunei from Brunei, and Vanda Miss Joaquim from Singapore. 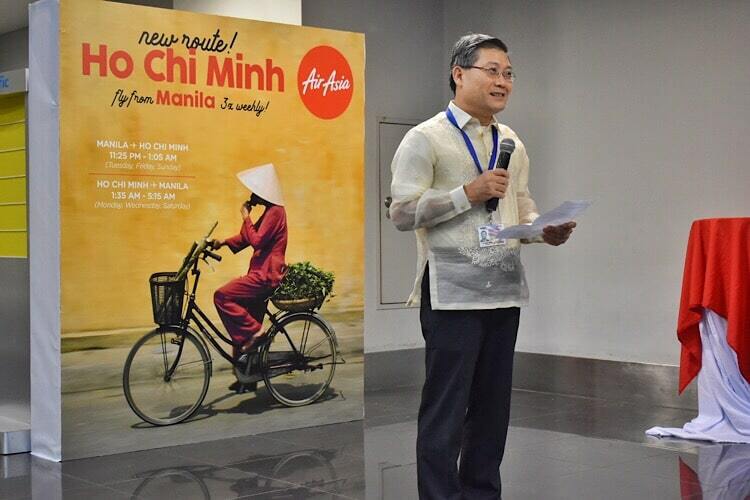 AirAsia’s Manila – Ho Chi Minh City/Saigon (IATA CODE: SGN) flights are scheduled every Tuesday, Friday, and Sunday. Congratulations, AirAsia! Here’s to many more destinations and incredibly fun travels in the near future! Watch out for my vlog entry all about our brief yet immensely fun trip to Ho Chi Minh City very soon! 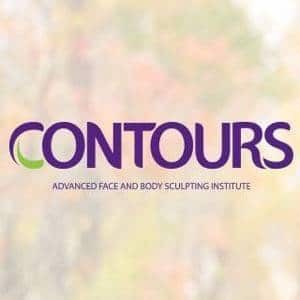 Please subscribe to my YouTube channel here for more of my vlogs. Keep updated with AirAsia’s latest promotion and activities via twitter (@AirAsiaFilipino), Facebook (facebook.com/AirAsiaPH) and on Instagram (@AirAsiaFilipino).